Five nations, including Russia, whose doping records have risked weightlifting's place on the Olympic schedule have been limited to just two athletes for the 2020 Tokyo Games by the sport's governing body, according to a document seen by Reuters. The International Weightlifting Federation (IWF) is effectively allowing Russia, Kazakhstan, Azerbaijan, Armenia and Belarus only two places each at Tokyo 2020 – as the new rules state that any nation with 20 or more doping violations from 2008 to 2020 will have just one man and one woman at the Games. Countries with 10-19 doping violations over that same period will be limited to two men and two women in Tokyo. At least nine more countries, including Bulgaria, Iran and India, who have won five weightlifting golds at the Commonwealth Games, fall into that category. There could be further sanctions, including being banned from the Olympics, or more nations penalised if there are further doping violations before the Olympic qualifying period ends in April 2020, the IWF said. The crackdown will benefit countries with less than 10 violations from 2008-2020 as they can send up to eight qualifiers each, split equally between men and women. The new policy has been approved by the International Olympic Committee (IOC) and been welcomed by many nations. "This is a monumental step forward for weightlifting and for athletes around the world," USA Weightlifting chief executive Phil Andrews told Reuters. "This new qualification system is a huge step for clean sport." Christian Baumgartner, president of Germany's national federation and an outspoken critic of the "doping culture" prevalent in many countries, also approved the changes. "The old system was abused by some federations but there is a new perspective with these new conditions, which provide a real chance for a level playing field," he told Reuters. 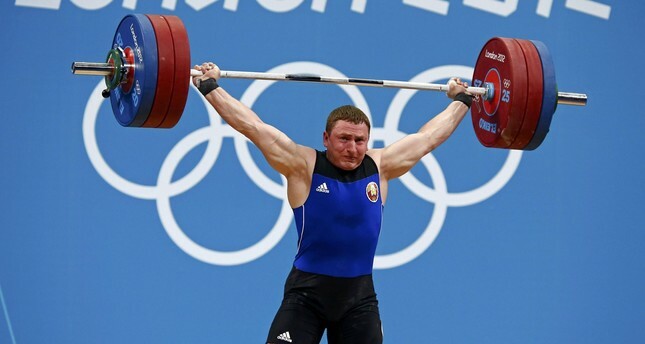 When the IOC retested samples from the 2008 Beijing and 2012 London Olympics, 49 weightlifters came up positive. Forty two of them were from nations that were formerly part of the Soviet Union. Weightlifting's quota has been cut from 260 places in Rio in 2016 to 196. There will also be one fewer medal event in Tokyo. The sport's place on the Olympic schedule beyond 2020 depends on its ability to improve its doping record. The IWF decided to count all positives since 2008 as it would punish those most responsible for the current predicament. "Naturally not everybody is happy but everybody understands that the sport is in a difficult situation where hard decisions are necessary for our future," the IWF's director general Attila Adamfi told Reuters. Collectively Russia, Kazakhstan, Azerbaijan, Belarus and Armenia have had more than 130 doping violations since 2008, with several cases still outstanding according to the IWF's website. All five are among the nine nations serving a one-year suspension until October for multiple retest positives. Of the four others Ukraine, Moldova and Turkey are in the 10-19 bracket while China is currently safe on seven. Other nations with 10 or more positives are Iran – the best-performing country at last year's IWF World Championships - Bulgaria, Albania, Romania, Uzbekistan and India. Thailand, with one case outstanding, is likely to join those on 10 or more violations. If a nation tots up three positives during the 18-month qualifying period for Tokyo, it faces disqualification from the Games – a fate that befell Russia and Bulgaria at Rio 2016. Apart from his two gold-medal performances at Beijing 2008 and London 2012, Kazakhstan's Ilya Ilyin competed only three times in six years between 2006 and 2012. He was disqualified from both Olympics after failing the retrospective retests.